Draft: 1996, Cincinnati Reds, 2nd rd. 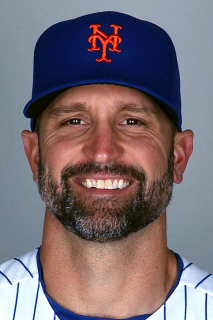 March 25, 2016 New York Mets released RHP Buddy Carlyle. December 14, 2015 New York Mets signed free agent RHP Buddy Carlyle to a minor league contract and invited him to spring training. December 14, 2015 New York Mets signed free agent RHP Buddy Carlyle to a minor league contract. November 10, 2015 RHP Buddy Carlyle elected free agency. November 3, 2015 New York Mets activated RHP Buddy Carlyle from the 60-day disabled list. April 5, 2015 New York Mets selected the contract of RHP Buddy Carlyle from Las Vegas 51s. January 5, 2015 New York Mets signed free agent RHP Buddy Carlyle to a minor league contract and invited him to spring training. January 5, 2015 RHP Buddy Carlyle assigned to Las Vegas 51s. November 3, 2014 RHP Buddy Carlyle elected free agency. October 31, 2014 New York Mets sent RHP Buddy Carlyle outright to Las Vegas 51s. July 26, 2014 New York Mets selected the contract of RHP Buddy Carlyle from Las Vegas 51s. July 23, 2014 New York Mets sent RHP Buddy Carlyle outright to Las Vegas 51s. 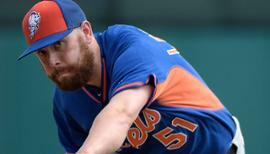 July 21, 2014 New York Mets designated RHP Buddy Carlyle for assignment. July 6, 2014 New York Mets selected the contract of RHP Buddy Carlyle from Las Vegas 51s. 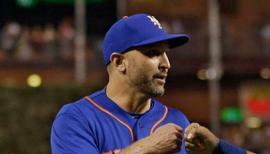 June 7, 2014 New York Mets sent RHP Buddy Carlyle outright to Las Vegas 51s. 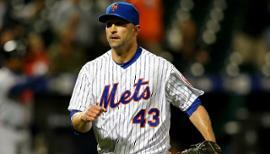 June 5, 2014 New York Mets designated RHP Buddy Carlyle for assignment. May 31, 2014 New York Mets selected the contract of RHP Buddy Carlyle from Las Vegas 51s. May 7, 2014 RHP Buddy Carlyle assigned to Las Vegas 51s from Brooklyn Cyclones. May 2, 2014 RHP Buddy Carlyle assigned to Brooklyn Cyclones from Las Vegas 51s. April 15, 2014 RHP Buddy Carlyle assigned to Las Vegas 51s from Brooklyn Cyclones. April 3, 2014 RHP Buddy Carlyle assigned to Brooklyn Cyclones from Las Vegas 51s. March 31, 2014 RHP Buddy Carlyle assigned to Las Vegas 51s. February 18, 2014 New York Mets signed free agent RHP Buddy Carlyle to a minor league contract. November 4, 2013 RHP Buddy Carlyle elected free agency. September 23, 2013 Buffalo Bisons activated RHP Buddy Carlyle from the 7-day disabled list. August 17, 2013 Buffalo Bisons placed RHP Buddy Carlyle on the 7-day disabled list retroactive to August 15, 2013. December 12, 2012 RHP Buddy Carlyle assigned to Buffalo Bisons. December 11, 2012 Toronto Blue Jays signed free agent RHP Buddy Carlyle to a minor league contract. December 11, 2012 Toronto Blue Jays signed free agent Buddy Carlyle. November 2, 2012 RHP Buddy Carlyle elected free agency. May 16, 2012 Gwinnett Braves activated RHP Buddy Carlyle from the 7-day disabled list. May 3, 2012 Gwinnett Braves placed RHP Buddy Carlyle on the 7-day disabled list. Strained right elbow. April 4, 2012 RHP Buddy Carlyle assigned to Gwinnett Braves. March 27, 2012 RHP Buddy Carlyle assigned to Atlanta Braves. December 27, 2011 RHP Buddy Carlyle assigned to Aguilas Cibaenas. December 4, 2011 RHP Buddy Carlyle assigned to Leones del Escogido. August 18, 2011 Scranton/Wilkes-Barre Yankees released RHP Buddy Carlyle. July 5, 2011 New York Yankees sent RHP Buddy Carlyle outright to Scranton/Wilkes-Barre Yankees. June 30, 2011 New York Yankees designated Buddy Carlyle for assignment. June 22, 2011 New York Yankees recalled Buddy Carlyle from Scranton/Wilkes-Barre Yankees. June 21, 2011 RHP Buddy Carlyle roster status changed by Scranton/Wilkes-Barre Yankees. June 13, 2011 Scranton/Wilkes-Barre Yankees placed RHP Buddy Carlyle on the 7-day disabled list retroactive to June 11, 2011. May 14, 2011 Scranton/Wilkes-Barre Yankees activated RHP Buddy Carlyle. May 13, 2011 New York Yankees optioned RHP Buddy Carlyle to Scranton/Wilkes-Barre Yankees. April 22, 2011 New York Yankees selected the contract of Buddy Carlyle from Scranton/Wilkes-Barre Yankees. December 15, 2010 New York Yankees signed free agent RHP Buddy Carlyle to a minor league contract and invited him to spring training. December 15, 2010 Buddy Carlyle assigned to Scranton/Wilkes-Barre Yankees. October 9, 2009 Atlanta Braves sent Buddy Carlyle outright to Gwinnett Braves. August 27, 2009 Atlanta Braves recalled Buddy Carlyle from Gwinnett Braves. August 7, 2009 Atlanta Braves optioned Buddy Carlyle to Gwinnett Braves. July 31, 2009 Gwinnett Braves sent RHP Buddy Carlyle on a rehab assignment to Rome Braves. July 20, 2009 sent RHP Buddy Carlyle on a rehab assignment to Gwinnett Braves. May 26, 2009 Buddy Carlyle roster status changed by Atlanta Braves.